If you’re running a business or have a brand, then promoting on social media platforms must be part of your marketing strategy. With that said, it is very likely one of social media platforms is Pinterest. If not, what are you waiting for?! 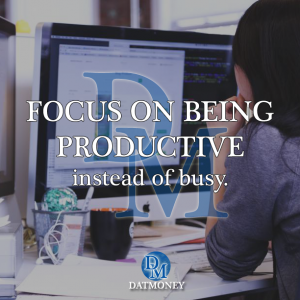 One of the keys to marketing on Pinterest (or any social media platform) is staying consistent; unfortunately, Pinterest does not have a scheduling feature and some of us don’t have time to invest every single day to pinning. Luckily for us, there are a bunch of great Pinterest scheduling options. Some very good schedulers come with a fee, which I will not be highlighting in this post. I’m only going to be listing the free ones that I have personally tested out or considered trying after doing research. 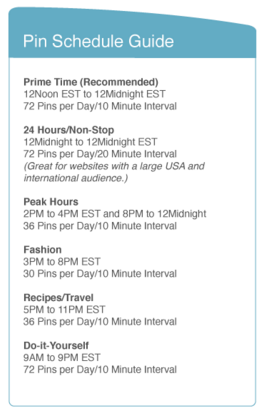 Before I get into the different free scheduling options, here are some facts and stats for Pinterest that you may want to look at if you haven’t signed up already. – 45% of Pinterest users are from outside the U.S. There are way more stats and facts that back up why Pinterest should be an essential part of your marketing strategy, especially if you’re looking to sell a product, but hopefully you got the point. 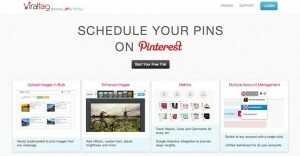 With that said, here are some different options to schedule pins on Pinterest for free. 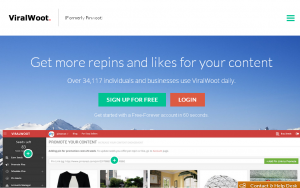 ViralWoot is probably the best overall Pinterest scheduler I have used (and continue to), but they have way more features than just that (which I’ll get into that in just a minute). ViralWoot has the option to schedule pins by uploading images from your computer, social media sites as well as searching on their embedded Google Image Search. You can also use their bookmarks toolbar to schedule any pins from any website. In addition to pins, you can schedule repins by using their “Search Pinterest for top pins to repin” or by copying and pasting a pin link. Once you find an image to pin/repin, then you have the option to schedule with a specific time and date as well as the board you want to post on. The catch: You are only allowed 100 scheduled pins/repins monthly. There is a paid option to obtain more. 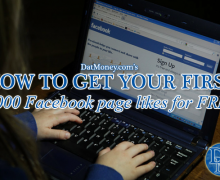 How it works is you earn “seeds” (which is their form of currency) by liking other pins, repinning and following other related users. You can then take those “seeds” you’ve earned to spend it on things such as promoting your pins. Of course, you can purchase more seeds or sign up for their subscription plan, which will also unlock your 100 scheduled pins/repins monthly limit. They also support multiple accounts. With SocialPilot, you can actually schedule posts for all the major social media outlets (Twitter, Facebook, Linkedin, Tumblr, Pinterest, Instagram) so that gives you more freedom and tools to work with, rather than just specific to Pinterest. But since this post is about scheduling Pinterest pins for free, I’ll focus on that. With the free version of SocialPilot.co, you can schedule 10 pins/repins daily, which is an ideal amount to schedule regularly. Similar to ViralWoot, you can schedule the specific time and date for each one of your pins. The catch: You can only connect three accounts, at most, with the free account. That may sound great since it’s free but each board on your Pinterest account counts as one. Therefore, if you have 10+ boards, you can only list three. You can always rotate those three accounts by deleting them (on SocialPilot.co) and switching it with the other boards but I feel that takes away from scheduling pins in advance. 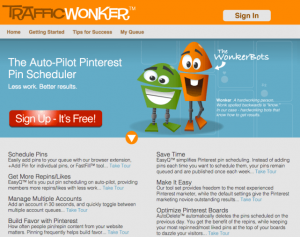 TrafficWonker was actually the first site I signed up for to schedule pins. 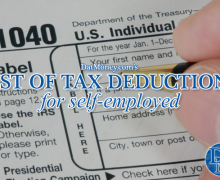 It’s simplified which makes it very easy and straightforward. The best part is you can schedule way more pins daily than the previous two sites combined. But with any free account, comes the limitations. It is set up as a weekly calendar and you can schedule up to 72 pins per day (I haven’t actually tried to schedule that many in a day). Though, unlike ViralWoot and SocialPilot, you can’t choose the specific time and date to schedule your pins. Rather, it posts based on their schedule guide (which you can see in the screenshot below). Also, TrafficWonker only schedules repins (needs a Pinterest pin URL) and does not support scheduling brand new pins from sites/uploads (they used to have a Firefox Extension but apparently it’s not support anymore so they discontinued it). I also want to mention that I’ve had issues with consistency with the pins actually publishing. I started one account for one of my niche sites and the first week, only about half of the pins I scheduled published. It looks like everything is publishing fine now but I just wanted to mention that. They also support multiple Pinterest accounts. I have not tested out the below Pinterest schedulers but I did consider them. 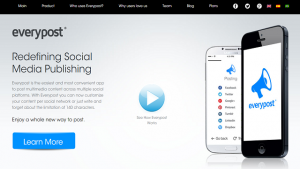 Similar to SocialPilot, ViralTag supports the main social media sites. 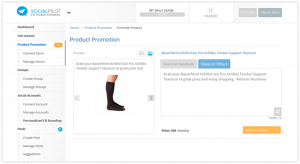 They offer a 14 day free trial (no credit card required) to try it out. 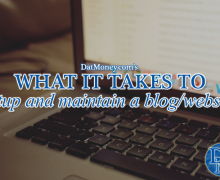 In addition, you can obtain six months free by writing a blog post about them as well. You can check out the details on their website. EveryPost also features support for the main social media sites (though, reading comments on their app in the Play Store, people have been having issues with Google+). With their free account, you can connect one channel up to three feeds and schedule 10 per day. Again, I have not personally tested out these two but considered them. With anything that comes free, there is usually some sort of catch. Though, if you are really on a budget or simply do not want to pay, you can get creative with it so you take full advantage of the free items that are given to you. 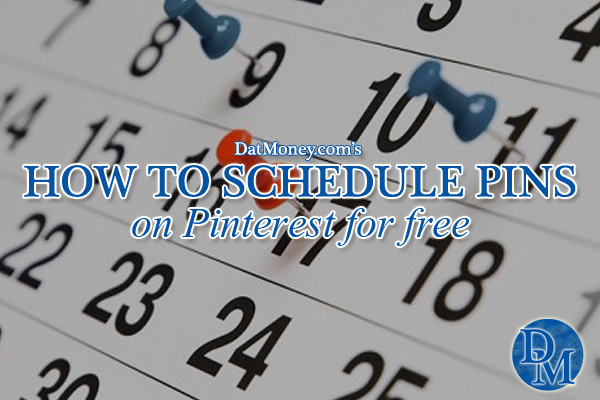 For instance, if you combine the three free Pinterest schedulers I mentioned above, that should be plenty of scheduling to be consistent enough for your followers. I’m still in the process of testing various tactics out so I should be writing a more detailed post on things that have and haven’t worked for me on Pinterest.